S&A Architect, Jon Saccoccio attended the 2018 ICAA’s Intensive in Classical Architecture in New York. The week long educational program focused on the elegance of form and proportion within classical design. SEON is proud to recognize three of its members that are involved in the Great River Terrace project in Brattleboro: Windham & Windsor Housing Trust, Stevens & Associates, PC (architects) and GPI Construction. 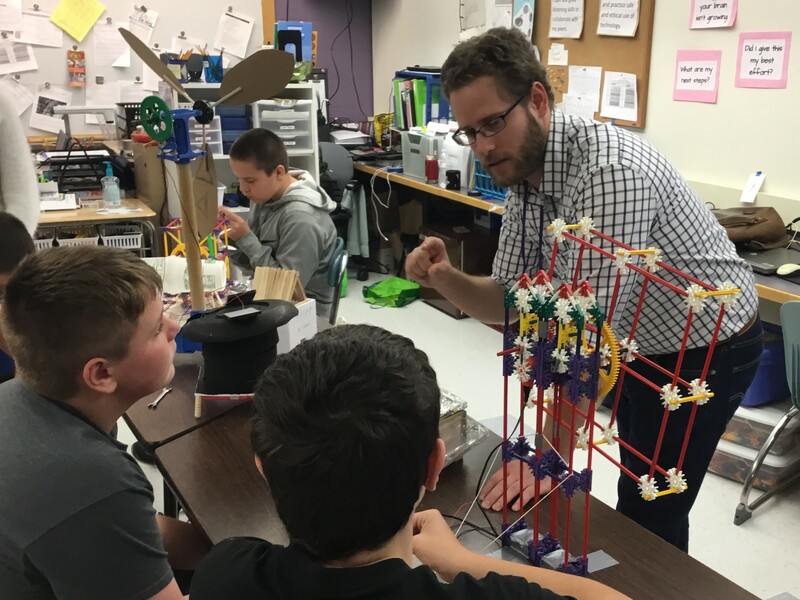 The Brattleboro Area Middle School (BAMS) invited professionals from Stevens & Associates, P.C. 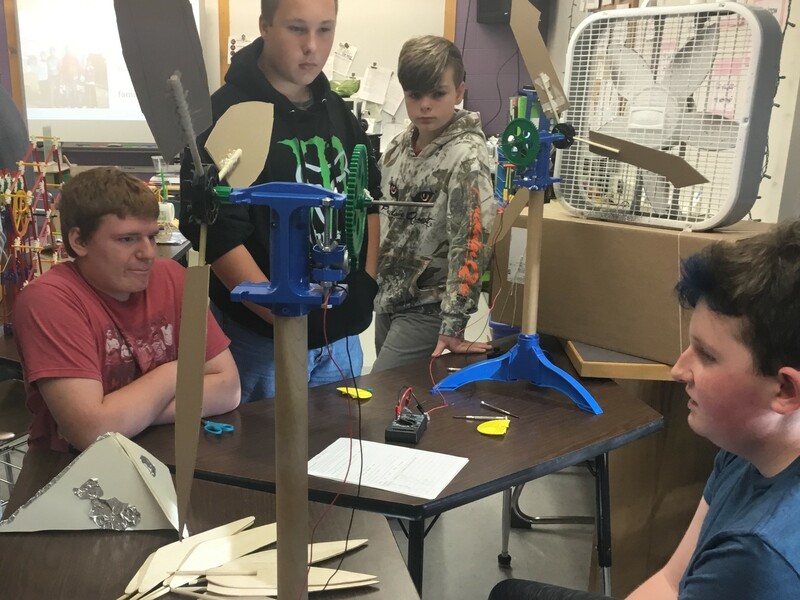 (S&A) to connect with 8th grade students participating in the Technology & Design exploratory program. In light of recent natural disasters and the refugee crisis, the students were challenged to consider the question: How might we design safe and sustainable shelters for displaced families to live well? Students used the design thinking process to imagine, plan and create their projects to address issues such as: flooding, access to safe drinking water, excessive heat and safety. Throughout the process, students practiced their problem-solving skills using everyday materials and continuously improved upon their designs. After the models were completed, the students hosted a Shelter Design Showcase sharing their designs and experiences with peers, school staff and community members. S&A believes in the value of relationship building with local schools and supports STEM programs that introduce science, technology, engineering, and mathematics to students. BAMS Technical Education Teacher, Daisy Frederick is looking forward to continuing this important connection and even expanding the experience for next semester. “I am truly inspired by the creativity and imagination of my students and am so excited to be able to expose them to career opportunities in our local community,” Frederick explained. In addition to evaluating and discussing each student’s model, the architects and engineers answered questions and shared stories about their own educational and professional journey. Stevens & Associates congratulates the Bradley House residents and staff for their recent groundbreaking celebration on May 1, 2017. Attending the ribbon-cutting ceremony was S&A Architect and Project Manager, Jonathan Saccoccio. Stevens & Associates is providing design & engineering services for the building expansion and grounds beautification project of this residential care facility built in the 1860s and located in Brattleboro, VT.
S&A’s Alan Lindsay Berry, AIA collaborates with Carol Miklos, Executive Director of AIA to write the article: Architect’s Tour of The Clark Institute – A Study In Contrasts published in the January 2017 AIA Vermont Newsletter. Click “here” to read more. Stevens & Associates presented the Fire Station Expansion Committee of Bernardston, MA results from two feasibility studies. Recently relocating to southern Vermont, Diane brings to S&A over 20 years of experience in the field of design and architecture. She earned her Bachelor of Science: Architecture and a Bachelor of Architecture: Architecture degrees from CUNY Spitzer School of Architecture graduating with honors and receiving an Excellence in Design and Best Thesis Project awards. Prior to joining S&A, Diane was an Associate with Peter Gisolfi Associates located in Hastings-on-Hudson, NY. Diane looks forward to applying her extensive knowledge of project management, building design and construction document production to her new projects, and is excited to play a role in the design and development of her new surroundings. S&A Architectural Designer, Jillian Tomaselli a recipient of the Tai Soo Kim Traveling Fellowship is traveling throughout Europe visiting residential buildings in London, a nature center and museum in Helsinki, and an office building in Zurich. Jillian wrote, “We’ve learned from our conversations with the architects that there’s definitely a challenging learning curve involved the first time an office designs with CLT, but often those challenges are outweighed by the benefits, such as schedule, sustainability, etc.” Below are photographs Jillian has shared demonstrating a mixed use building and a CLT building under construction in London, part of a nature center in Helsinki, and the lobby of an office building in Zurich. Thank you, Jillian for sharing your experiences abroad with us. S&A – Welcomes 3 New Team Members. S&A welcomes Jamie Martell – Associate Engineer, Michael Becker – Structural Engineering Technician, and Nathan Antaya – Architectural Designer to their team. Stevens & Associates welcomes Jillian Tomaselli to their team as an architectural designer. Tomaselli has received a Bachelor of Science degree in Architecture from Keene State College. During that time, she studied abroad at St. John International University in Torino, Italy. Tomaselli continued her education earning a Master’s of Architecture from the University of Hartford. Before receiving her Master’s degree, she became the 2013 Marvin Design Studio Challenge Winner. More recently Tomaselli accepted the 2016 AIA Henry Adams Medal and Certificate of Merit award and the Tai Soo Kim Traveling Fellowship. Tomaselli is interested in historic preservation, urban renewal, and universal design. The Brooks House Atrium was the site for a community celebration toasting the Holton Home and Bradley House merger. Read more about this merger and the Bradley House improvements project in the Brattleboro Reformer News. Stevens & Associates Welcomes Trista Kerber, Designer, to the team. Stevens & Associates welcomes Trista Kerber to their team as an Architectural Designer. Kerber has received her Bachelor of Science and Master of Architecture degree from Norwich University, and is currently working toward her architectural license. She brings over a decade of work experience including several years of freelance work, drafting, and designing permit plans. Kerber has worked as a designer for several firms focusing on restaurants, timber frame, multi-family housing, mixed-use, and luxury home designs. Her interests include traditional architecture, renovations, interior design, and New Urbanism. In addition to her professional career, Kerber has served as a member on the Guilford Central School Board. Stevens & Associates welcomes Nikki Perry to their team as an architectural intern. Perry has received a Bachelor of Science degree in Architecture with a minor in Sustainable Product Design and Innovation from Keene State College. During that time, her academic experience included a month abroad in Florence, Italy. Perry continued her education earning a Master’s of Architecture from the University of Massachusetts. Before receiving her Master’s degree, she accepted a design award at the NESEA Net-Zero Energy Student Design Competition and the First Place Award Division II for the Parsons Paper Site. In addition to sustainable design and innovation, Perry is also interested in historic preservation, urban renewal, and universal design. Bob Stevens will join Tad Cooke, New Moran, Inc. as a panelist at the VBSR’s 25th Annual Spring Conference on May 13th. Bob will address the challenges faced during the Brooks House renovation and the available tools used to complete the project. Stevens & Associates will collaborate with Bread Loaf Corporation to present “The Resiliency of Brooks House” at ACX15 – Vermont’s Architecture & Construction Expo on Thursday May 21st.